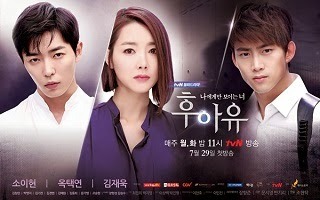 A ghost romance story about Yang Si Ohn (So Yi Hyun), a woman who is able to see spirits after waking up from a 6-year long coma and Cha Gun Woo (Ok Taecyeon), a man who only believes in solid evidence. The two detectives come to understand each other as they try to help the spirits attached to objects at a lost-and-found center rest in peace. This drama will feature a love triangle between spirits and humans. Si Ohn′s dead boyfriend Lee Hyung Joon (Kim Jae Wook) will appear as a spirit, perfecting the supernatural romance. Hyung Joon was an elite member of the police force, but lost his life following an unfortunate accident.